Our holistic approach – restore harmony and beauty to your mind, body, soul and skin. We are all working much longer hours in an increasingly polluted environment and spending far less time relaxing. Our skin mirrors these increased pressures of modern living: wrinkles, blemishes, broken capillaries and dermatitis are on the increase. The anti-ageing battle has never been tougher! If stress is beauty’s greatest enemy, then well-being is its greatest enhancer. Radiant skin cannot be achieved by surface creams alone. It’s time to look deeper to find real and lasting answers to our skin problems. 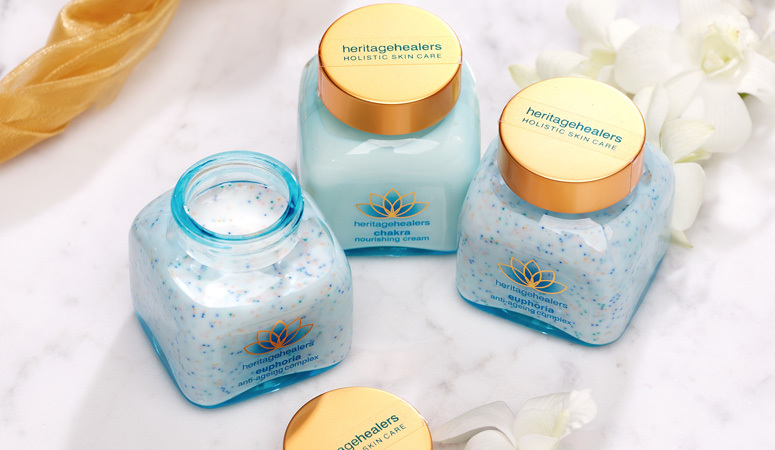 Heritage Healers holistic beauty routines combine natural healing therapies with professional skin care, creating the products to care for your skin and health on a deeper level – ancient remedies for modern stress!